A Covington-area man has been arrested after his five-week-old son was found with injuries consistent with abuse. Shortly before 7:30 a.m. on Thursday (September 27), Timothy Noel (DOB 7/9/1993) called 911 to report that his newborn son had stopped breathing, and started vomiting and bleeding from the mouth, while he was feeding him. The father was home alone with the infant at the time. St. Tammany Parish Sheriff’s Office deputies and emergency services personnel responded, and the infant was transported to a local hospital for medical treatment. Doctors discovered the infant had non-accidental injuries consistent with child abuse. The infant has been diagnosed by physicians with broken ribs and brain trauma. 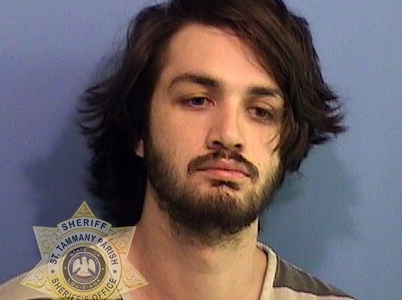 An arrest warrant was obtained on Friday (Sept. 28) and on Monday (Oct. 1) Noel was booked into the St. Tammany Parish Jail on one count of L.R.S. 14:93.2.3, Second Degree Cruelty to Juveniles (felony).